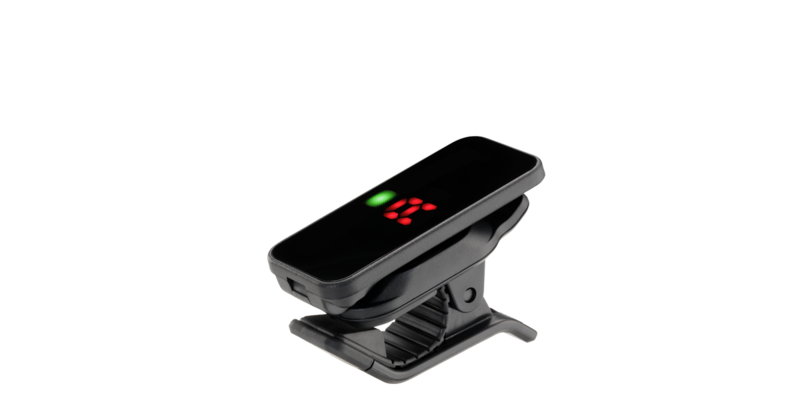 Pitchclip 2, the clip-on tuner for simple and efficient tuning. ・Even more compact and stylish design. 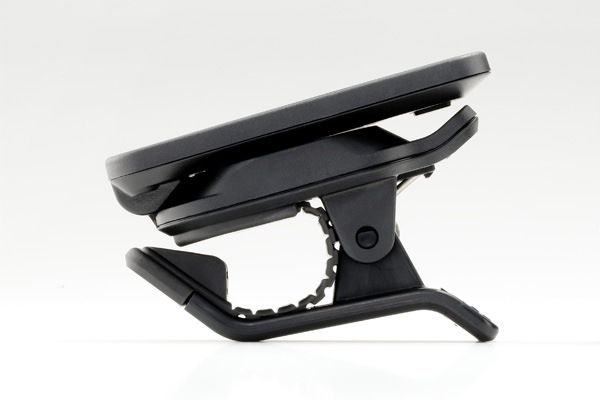 While carrying on the compact body of the original Pitchclip, the Pitchclip 2 takes its evolution further. The display is even thinner, and the design is now simple and stylish. Thanks to the enlarged screen, visibility is even better in spite of the unit's compact size. Since the display can be adjusted through a 120-degree angle, the player can tune while viewing the screen at the most natural position with optimal visibility. 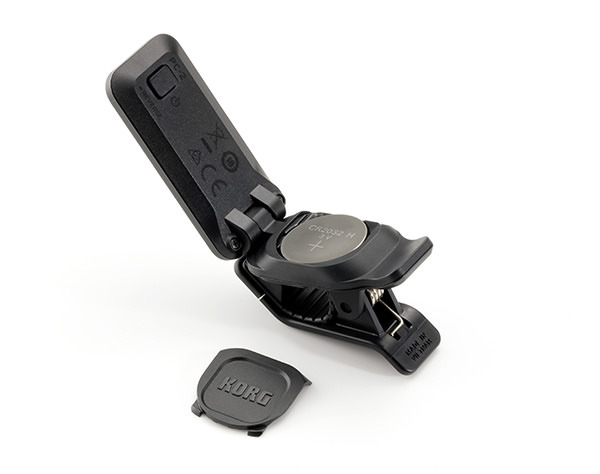 The Pitchclip 2 boasts major improvements to its clip mechanism. 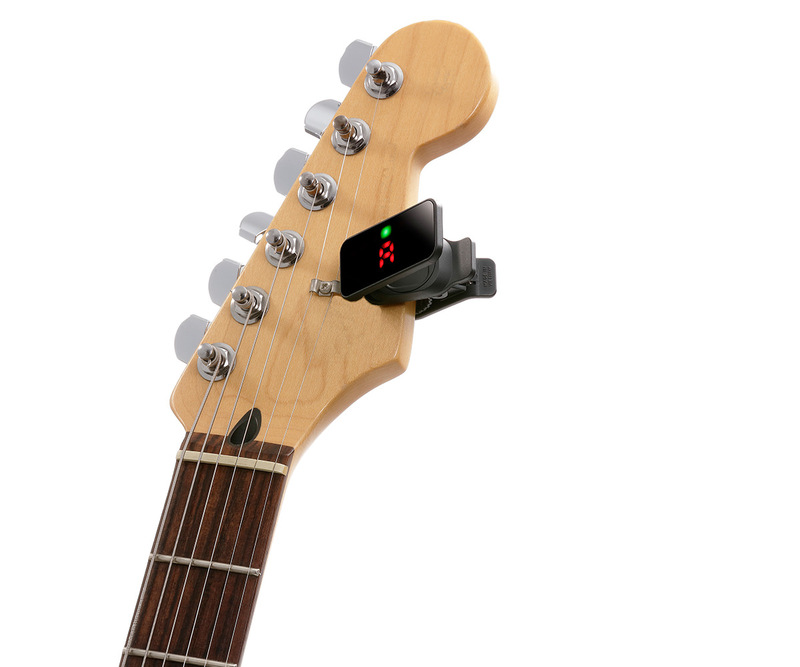 Numerous trials in every detail have resulted in a 140% improvement in holding power compared with the previous model, ensuring that the attached tuner will not fall off and provide a secure connection for accurate tuning. The entire clip is now rubberized to protect your instrument. From a ukulele to an electric guitar, this tuner can be used with any instrument. 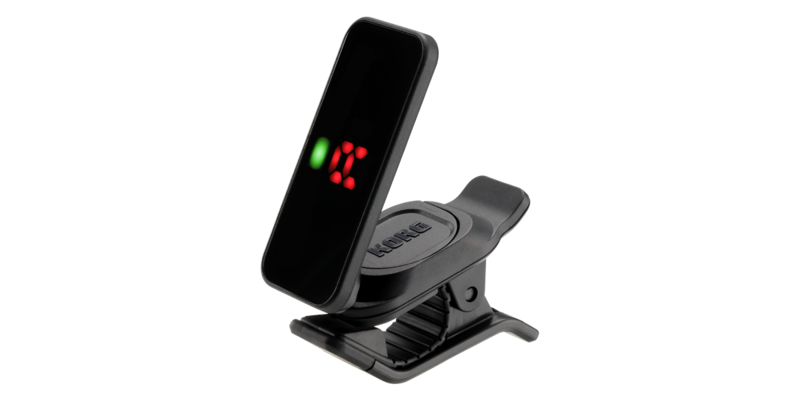 After thoroughly testing the mounting location for the piezo sensor in the clip section of the Pitchclip 2, KORG has succeeded in boosting the tuner’s detection sensitivity for the low-frequency region. The enhanced effectiveness is most noticeable for dropped tunings and 5- or 6-string basses that, until now, were considered problematic for stable tuning. 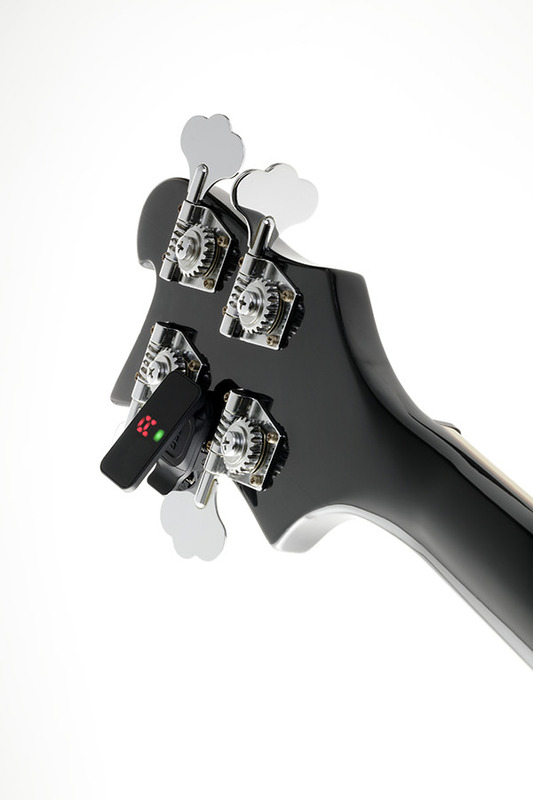 The reverse function is good news for users who attach the tuner to the back side of the headstock to make it less visible when seen from the front, and for left-handed players. With the power off, long-press the switch to vertically invert the meter display. This lets you tune regardless of whether the tuner is attached to the front or the back of the headstock, and regardless of the orientation. A single widely-available lithium coin cell battery (CR2032) provides approximately 24 hours of continuous operation. 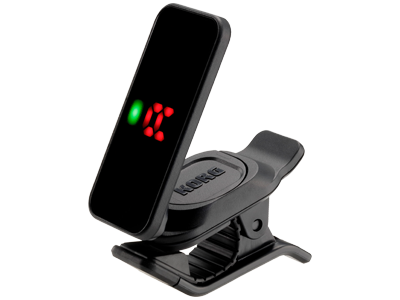 The tuner is also equipped with an auto-power-off function that automatically turns off the power when approximately three minutes pass without sound being detected. You'll enjoy extended operation without wasting the battery.